MADISON, Wis. — Migratory game bird hunters in Wisconsin pursuing ducks, geese, doves, woodcock and other migratory game birds will see small changes in 2019 compared to previous years under a rule approved by the state Natural Resources Board at its April 10 meeting in Madison, the Wisconsin DNR said in a news release Wednesday, April 10. These season frameworks were based on federal guidelines, public comments, input from conservation and hunting groups as well as from results from a waterfowl hunter survey. The waterfowl program expanded its outreach efforts this year to collect public input by using an online input tool and broader outreach via Facebook and email distribution. More than 300,000 people received an email asking for public input, and through social media the department reached more than 51,000 people. These outreach efforts increased participation in public comment on waterfowl season structure by more than 1,000 percent over previous years. 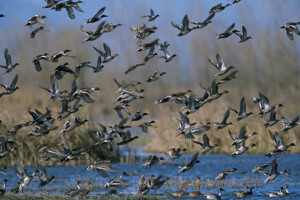 The first of the 2019 migratory game bird seasons will open with the early goose seasons (Canada and light geese), mourning dove and early teal seasons. Regular waterfowl hunting seasons will include a 60-day duck season and a 92-day regular goose season. Early teal season length has increased to nine days (Sept. 1-9). The three duck zones will open on a single statewide opener for the north, south and Mississippi zones on Sept. 28. A second split in the south Canada goose zone results in a goose season that is open during the Christmas and New Year’s holidays. An increase in the black duck bag limit (from one to two) and a decrease in pintail daily bag limit (from two to one) based on U.S. 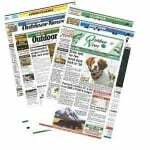 Fish and Wildlife Service season framework. As a reminder to Canada goose hunters, registration of Canada geese and in-field validation of the Canada goose hunting permit is no longer required. Early teal, Sept. 1-9: six teal (blue-winged or green-winged) per day, sunrise to sunset shooting hours. Early goose, Sept. 1-15: five Canada geese per day, 20 light geese per day (snow/blue and Ross’). Mourning dove, Sept. 1 to Nov. 29: 15 birds per day. Woodcock, Sept. 21 to Nov. 4: three birds per day. Opening day shooting hours begin one-half hour before sunrise for all regular waterfowl hunting seasons. North Zone: Sept. 28 to Nov. 26. South Zone: Sept. 28 to Oct. 6 and Oct. 12 to Dec. 1 (five-day split). Mississippi Zone: Sept. 28 to Oct. 4 and Oct. 12 to Dec. 3 (seven-day split, closed Oct. 5-11). With the elimination of the Horicon Canada goose management zone, the state now has a single statewide goose hunting zone for the regular season. The Mississippi River is a sub-zone within the statewide zone. The Natural Resources Board approved the incorporation of a second split in the Southern Zone regular Canada Goose season that would close the season down with the South Zone duck season and reopen again on Dec. 14 and run through the Christmas and New Year’s holidays. For more information on the hunts, click here.